Minimal Debian based Linux with powerful configurator and software installer. Minimal and elegant XFCE based desktop. Linux kernel and Debian framework. Cross-compilation with Vagrant, Docker, Virtualbox or native. Powerful menu driven configuration tool along with stock Debian utilities. BASH shell and lightweight XFCE based desktop. Standard boot, config and update methods with minimal user-space footprint. Special config utilities are optional. A distributed image is compressed to its real data size which starts below 1G. Login is possible via serial, HDMI/VGA or SSH. Boot loader and kernel optimisations, memory caching, ZRAM swap and video acceleration where applicable. Images are made fully automatised from sources. Releases are PGP signed and code is regularly inspected by community. Long term support, quick security fixes, documentation and community based end user support. 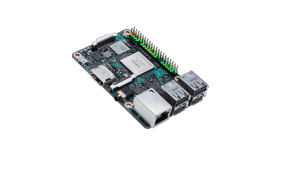 How to start with Armbian? Find your board and download one of the available images. Archives can be uncompressed with 7-Zip on Windows, Keka on OS X and 7z on Linux (apt-get install p7zip-full). RAW images can be written with Etcher (all OS). Make sure you have a good & reliable SD card and a proper power supply. Insert SD card into a slot and power the board. 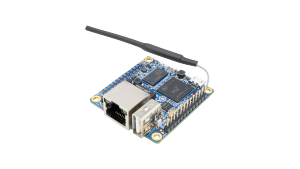 First boot takes up to 30 seconds with an average SD Card and on the cheapest board. Log in as root on HDMI / serial console or via SSH and use password 1234. You will be prompted to change the password. Next, you will be asked to create a normal user account that is sudo enabled (beware of QWERTY keyboard settings at this stage). Just a quick note to say thank you to the Developers for all that you do and have done to make our favorite Arm Linux Distro a success! I just want to post a thank you to the developers and contributors who have built one nice distribution. Over a year ago I bought a few OPi PC as a possible replacement for Raspberry Pi based HAM radio projects I support. Last night I downloaded and installed Jessie server from Armbian. What a pleasure. Small, clean and a giant plus for me, HEADERS!!!!. I am so tired of having to build the headers for a kernel so I can compile the out of tree modules I need. 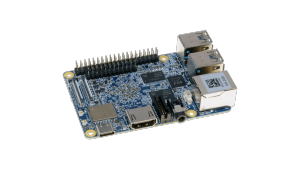 I just ordered a few NanoPi NEO and I look forward to being able to run Armbian. Thank you VERY much! My next stop is the donate button. All the Tinkerboard OS's looked to me more like compromise solutions to make the board work, rather than real OS's I could trust. Until I came across Armbian, that appeared to be more like the real Linux distros I was used to in the past. I saw committed people who really knew what they were doing, and it gave me a feeling of reliability. The new image worked perfectly and I am really impressed. When using the images for Raspbian or Debian, the screen output was very blurry using the converter. With armbian, it is razor sharp, right from the beginning. Wow! After some interesting weeks, I could successfully install eight Odroid C2 together with dedicated FPGA hardware now, and prepare them now for deep sea operation. Just wanted to express a big "THANK YOU" to all here in the forum which was involved in helping me to get the beast working. One of the good things about Armbian is that it provides a very easy to use kernel config tool. I had no experience in kernel development, and I was able to work with it just in a couple hours. I have switched to Armbian, and what a difference. Downloads are faster, programs open faster, and T-bird and Firefox work with no problem.